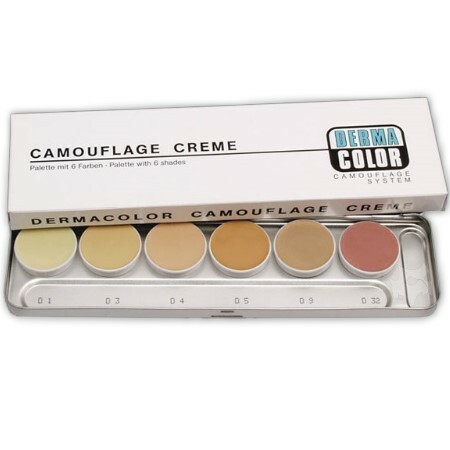 Dermacolor Camouflage Cream pallets are available in various sizes, in order to meet the personal wishes. 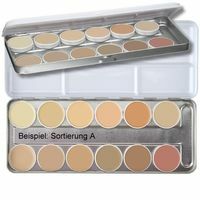 These palettes can be individually refilled with the individual available Dermacolor refills. 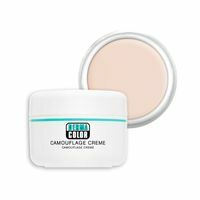 Kryolan Dermacolor Camouflage Cream pallets are available in various sizes, in order to meet the personal wishes. 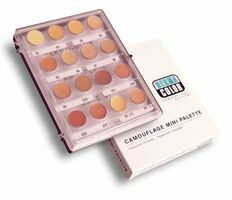 These palettes can be individually refilled with the individual available Dermacolor refills. 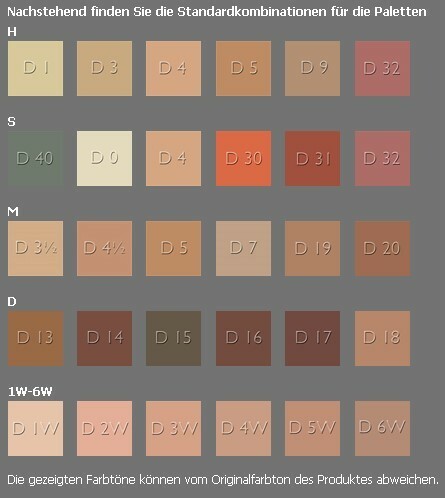 Special makeup for covering colored skin disfigurements, scars and tattoos. Paraffinum Liquidum (Mineral Oil), Paraffin, Hydrogenated Polyisobutene, Octyldodecanol, Candelilla Cera (Euphorbia Cerifera (Candelilla) Wax), Cetyl Palmitate, Tocopherol, Magnesium Myristate, Cera Alba (Beeswax), Petrolatum, Copernicia Cerifera Cera (Copernicia Cerifera (Carnauba) Wax), Oleth-10, Propylene Glycol, BHT, Ascorbyl Palmitate, Glyceryl Stearate, Citric Acid, Amyl Cinnamal, Benzyl Alcohol, Benzyl Benzoate, Benzyl Salicylate, Citronellol, Coumarin, Geraniol, Hexyl Cinnamal, Butylphenyl Methylpropional, Linalool, Alpha-Isomethyl Ionone, Cinnamyl Alcohol, Parfum (Fragrance) and may contain: [+/- Titanium Dioxide CI 77891, Iron Oxides CI 77491, CI 77492, CI 77499 (nano), Red 36 CI 12085, Chromium Oxide Greens CI 77288, Yellow 5 Lake CI 19140, Chromium Hydroxide Green CI 77289, Ultramarines CI 77007, Red 7 Lake CI 15850, Carmine CI 75470, Manganese Violet CI 77742, Red 40 Lake CI 16035, Yellow 6 Lake CI 15985, Ferric Ferrocyanide CI 77510, Red 22 Lake CI 45380, Blue 1 Lake CI 42090, Red 28 Lake CI 45410, Yellow 10 Lake CI 47005, Mica] (EU seulement/only: CI 11680, CI 77120, CI 74160, CI 73015, CI 58000, CI 74260, CI 77266) May contain carmine as a color additive.